Thomas Bick is a Shareholder based in Butzel Long's Washington D.C. office. Mr. Bick specializes in litigation and client counseling relating to insurance coverage (representing policyholders), contaminated property, hazardous waste management, enforcement of environmental statutes, and the management of risks associated with business transactions involving contaminated properties. Mr. Bick has litigated numerous high-profile environmental cases, including complex toxic tort cases and cases under most of the major federal environmental statutes. In the past ten years, Mr. Bick has recovered over $3000 million of insurance proceeds for his policyholder-clients, 90% of which was recovered without resort to litigation. Where litigation has been necessary, he has vigorously represented policyholders in lawsuits against their insurers in federal and state courts in over 20 states. He has also counseled clients on the purchase of insurance and use of other risk management tools in transactions involving environmentally impaired properties. 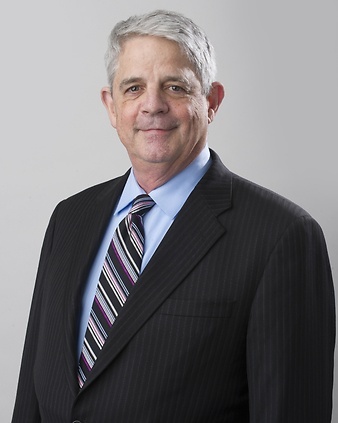 He has developed extensive expertise in insurance coverage for claims arising from pollution, employment practices, officers and directors liability, malpractice, intellectual property disputes, mold, asbestos, lead paint, and construction defects claims. From 1985-1989, Mr. Bick was a trial attorney in the Land and Natural Resources Division of U.S. Department of Justice. As senior trial attorney from 1987-1989, he supervised more than 200 environmental enforcement cases under the Clean Water Act, Clean Air Act, Resource Conservation and Recovery Act, Comprehensive Environmental Response Compensation and Liability Act (Superfund), and other environmental laws. The Justice Department gave him one of its highest awards in recognition of his role as lead counsel in one of the largest environmental enforcement cases ever brought by the federal government. In that case, United States v. Shell Oil Company, he managed a litigation team of 40 attorneys, paralegals, technical experts, and litigation support staff. Before working at the Justice Department, Mr. Bick was a litigator in the Toxics Law Division of the National Wildlife Federation, the nation's largest private conservation group. Prior to that, he worked as Special Assistant to the Administrator of the National Oceanic and Atmospheric Administration for environmental matters. Mr. Bick holds an undergraduate degree in chemistry from the University of Notre Dame and a J.D. from Antioch School of Law. He has written and lectured extensively on environmental and insurance issues. His most recent publications include articles on reconstructing lost insurance policies and the pursuit of insurance coverage for claims arising from asbestos, lead paint, mold, employment discrimination, radioactive materials, construction defects, and trademark infringement.